Over on the Art Jewelry Elements blog the Theme for December's design challenge was the Re-birth of the sun. Now the first thing that popped into my head relating to the sun was a beautiful Aztec sun god, so I was thinking that a sun god pendent cut from a sheet of golden brass would be a great idea but I just could not get the design right! 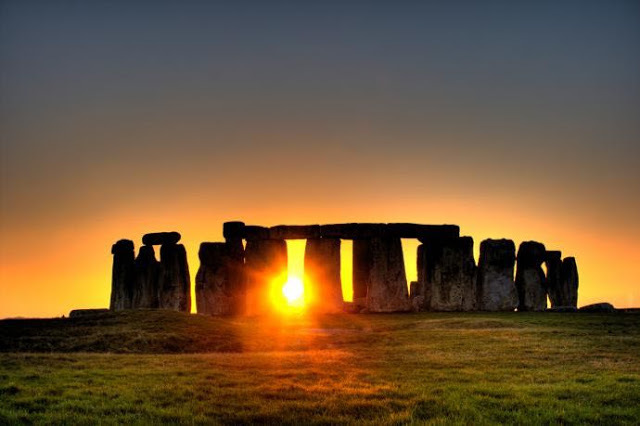 I have seen Stonehenge several times but only in passing as we have driven by on the way to some where else and I would really like to go and have a wander around. I adore that it is so ancient and has such a beautiful magical look to the place plus I love all the mystery surrounding it's use/how and why it was made. So I decided to use this as inspiration instead! 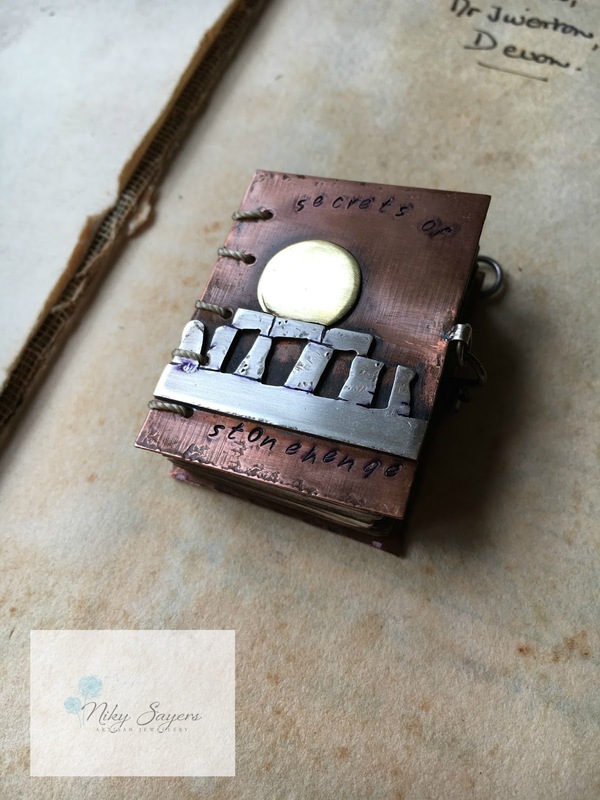 A tiny copper book pendent/necklace. It measures a touch over 4cm in height, the idea was that it would be made into a necklace with a few drilled stone beads and some heavy chain but unfortunately I have not found the right beads yet so it remains as is. 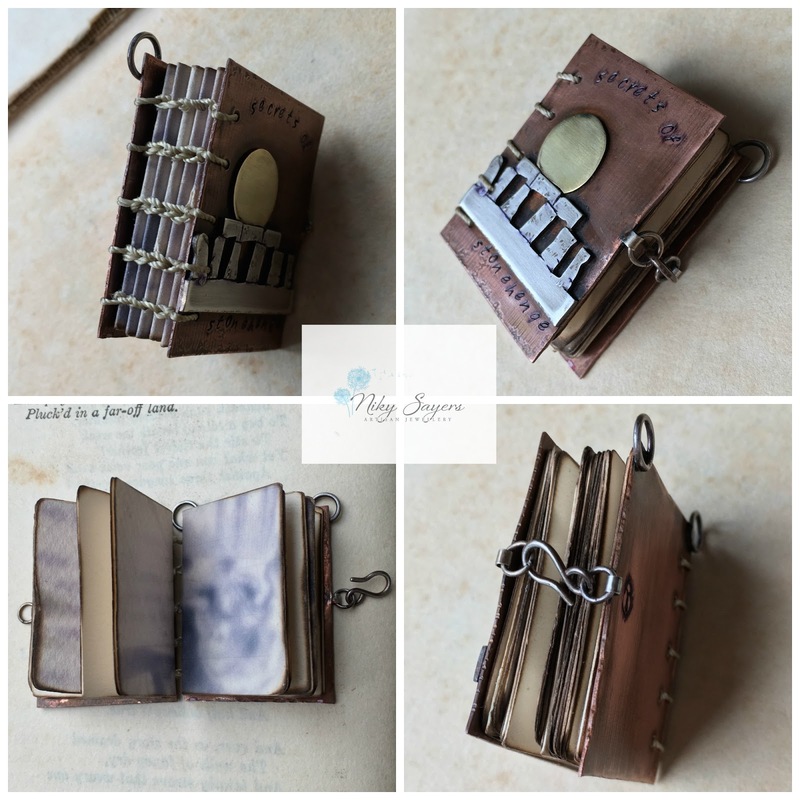 Each of the tiny pages have had the edges burnt to make the book look old and then I used the coptic stitch to bind them into the book, which is fastened with a little hook clasp. I do hope you will join me to see what every one else has created!